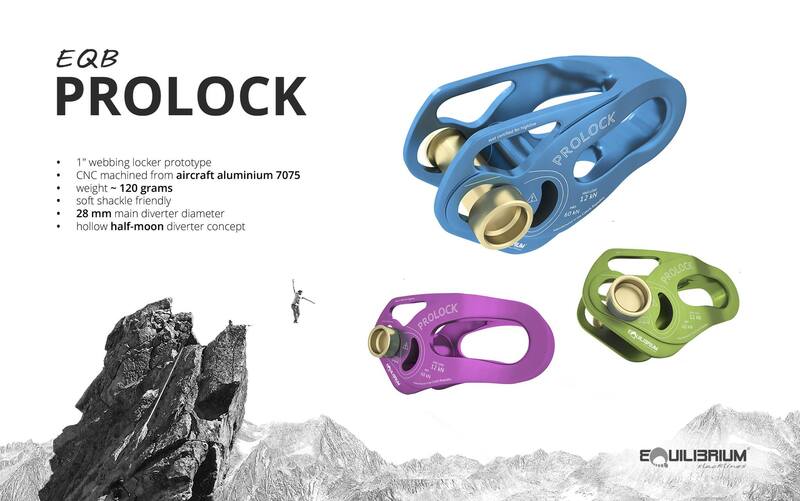 Equilibrium, the Czech Republic company is announcing new products for spring ! The team at Equilibrium is working hard to give you the best. These are products made by slackliner, for slackliner ! Read again Jakub’s interview to know th guy who is behind this amazing company. 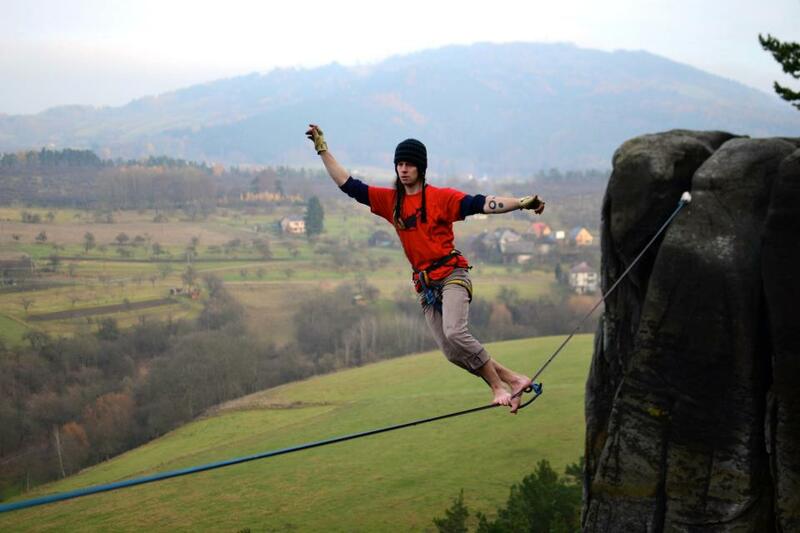 Jakub is one of the pioneer of modern slacklining. He walked more lines than you can ever imagine. He is the nice guy behind Equilibrium who is working hard to develop new products for slackline. 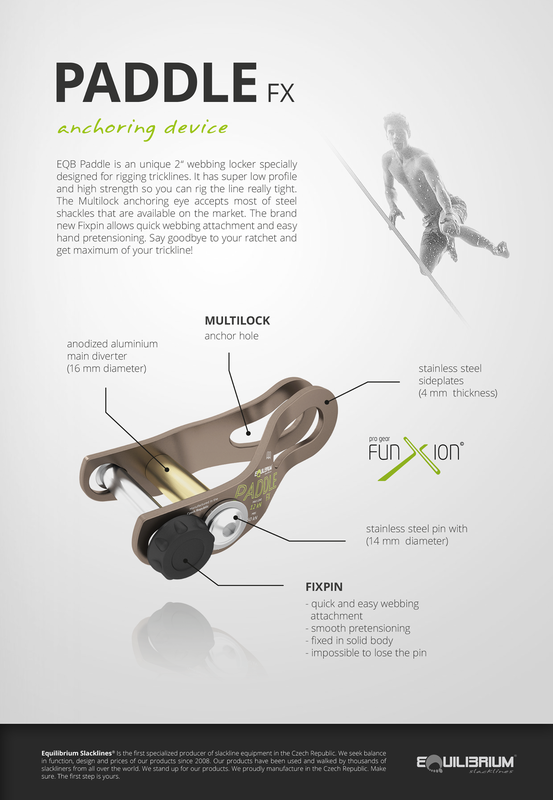 You would probably enjoy to sit down with him and drink a cup of coffee to talk about life and slackline. Here is his interview. My name is Jakub Hanuš but in the world of slackline I am better known as Kwjet. I come from the north of the Czech Republic, but last 8 years or so I live in Prague. I love the landscape around my hometown (lots of forests and rocks) and the cultural side of Prague as well. 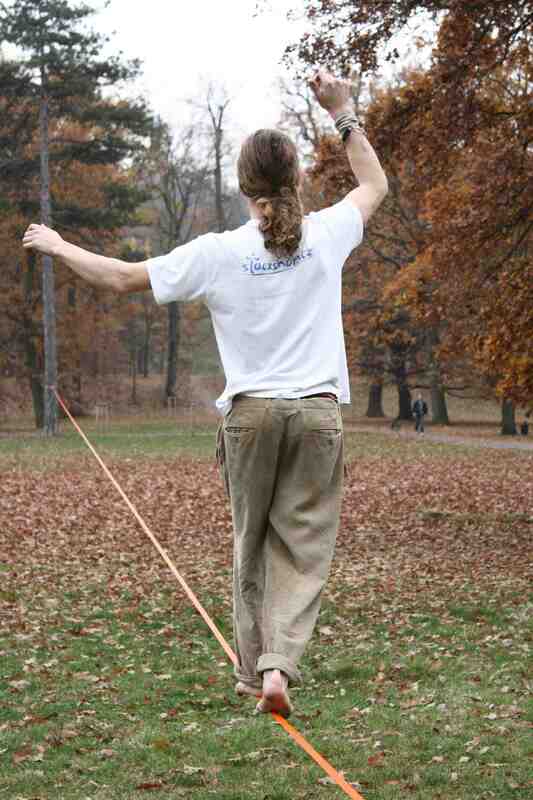 I started slacklining in fall 2007 on my own and the next season was a big breakthrough for me – I got to slack festivals, I met more experienced slackers and immediatelly fell in love with slackline. What pushed you to develop Equilibrium ? Actually we started first with Slackshop.cz during our studies in 2008. The idea was that we can do stuff better and cheaper than others In 2010 we fouded EQB as a brand to be able to distribute our gear to other shops as well. I would like to get better in multitasking. Usually I can focus only on one thing and I donť care much about others. “To se stává” which means “That happens”.. which means you shouldn’t worry too much about things that you cannot influence or that do not matter that much. Maybe that I am “lazy”. And I am really not a super productive person But when it comes to a real challenge or something that matters to me, I can be surprisingly efficient. That my life visions won’t be fulfilled. My fingerstrength. I realized I have to work on it a lot to get better in holding one- and twofinger pockets while climbing Besides that, my regime should get much better as well. I still like to smoke weed althought I guees this phase should be kind of over by now. Social interaction. Sometimes I like to be alone and some of the times I feel like I might regret it when I will be older. Not much actually. Some cheese, vegetables, yoghurt and stuff like that. But I don’t really eat very healthy. I always wanted to visit Canada. And New Zealand. And maybe Nepal or Tibet. But I am not much into traveling generally. I like dyneema webbing for longer lines And actually I like a 2 ton PES webbing for lines about 60-80 m long since it has a nice stretch and I spent probably most of the time on these lines (that were pretty common here in Czech back in the day when I started slacklining. And I like threaded tubular for shorter highlines. That changes in time. Right now I guess it is woodworking. I love the process of getting into something and revealing the secrets of the topic. That is what I love the most in life. It depends. Sometimes I wake up with some briliant idea in my mind. And sometimes I just think about never getting up. I was a passionate grower (of you-know-what). I spent few years doing reaserch, making my own systems, I had to know about every aspect of it. Which really paid of, when I wrote my diploma thesis based on this knowledge (technical part of growing plants). 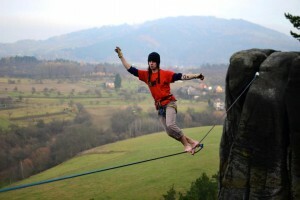 But after I started slacklining, this passion left me and I gave everything to my new hobby.. I love to listen to some psy-chill that lasts and lasts and lasts… That music really turns the inner engine of focus and helps me to get in the zone. I just had some donut and coffee for breakfast. That I might be a little late in the office since I went sleeping at 4 am (due to our woodworking / bar project). I always said my motto is: “Life is a game.” And I still believe in that. I took part in the team a while after they got together. And it was amazing, we did some cool stuff in various countries, established new lines here and there… I really liked the trip to Morocco since it was a whole new experience for me. I pulled out a tree. It wasn’t in the park and noone was hurt, but I still felt ashamed for that tree. 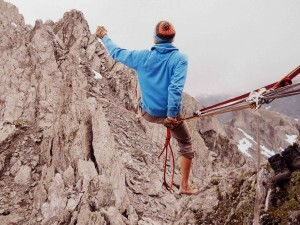 I am not a big fan of rules in general, but same as climbing, highlining should be restricted in some kind. It is about safety of people and the nature as well, it is fragile and cannot defend against damage. Pretty nice experience. But maybe not for everyone. You have to think a lot about it before you do it but you can say the same about many interesting things in life. Where did you travel during 2014 and what your best slackline memories ? 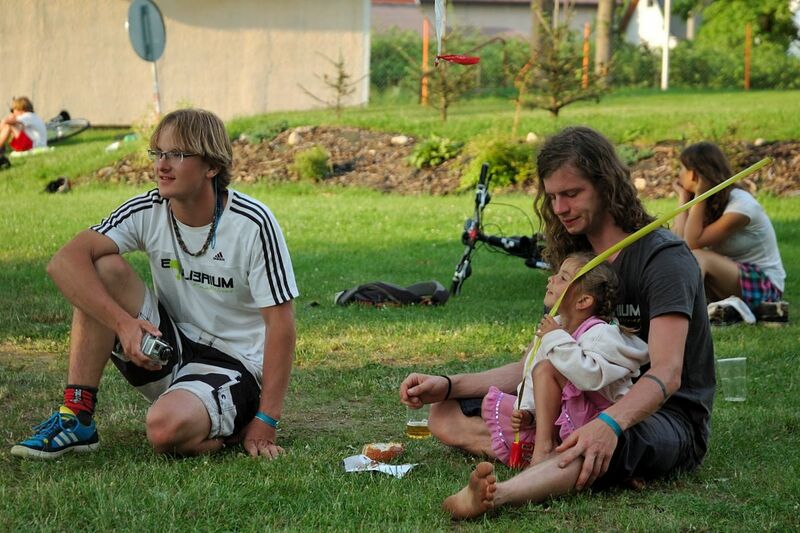 Last year I spent almost only in czech rocks (except for few small trips abroad and slackfestivals). But since the community is really international, I met a lot of friends which is the best thing about slacklining for me right now.